Since joining Morgan Stanley in 1989, Randy has earned the designations of Senior Institutional Consultant, Senior Vice President, Wealth Advisor, Portfolio Manager and has 10 consecutive years 1999 – 2008 of membership in the company’s Chairman's Club. In May 2010 he was elected to a three-year term on the national board of directors for the Association of Professional Investment Consultants (APIC). APIC is a community of leading Morgan Stanley consultants and their team members designed to enhance their level of knowledge in consulting and providing exceptional service to their clients. 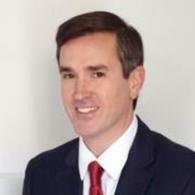 Randy offers his clients a blend of knowledge, dedication, and personal service. His areas of concentration include money management, alternative investments, and cash management. He holds the CIMA® (Certified Investment Management Analyst®) and is an Estate Planning Consultant. Randy has been a guest speaker at financial seminars for Morgan Stanley financial advisors nationwide and has presented at the University of Pennsylvania’s Wharton School of Business. He served as a Naval officer and aviator, having graduated first in his flight training class, and spent nine years as president and CFO of a diversified, privately-held corporation. 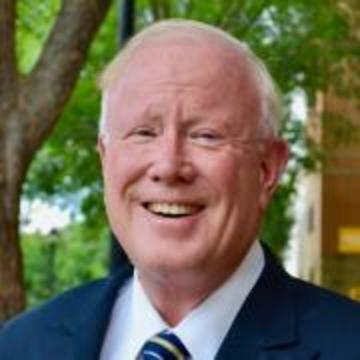 Randy earned a Bachelors of Business Administration in Accounting from Texas Christian University; while in college he worked for Weaver and Tidwell, at the time the largest privately held accounting firm in the southwestern United States. Randy and his wife, Grace, are avid boaters and enjoy spending time on the ocean at their vacation home in Florida. Randy volunteers with the U.S. Coast Guard and serves on two Ministry Boards. Matt started working in the financial services industry with Morgan Stanley and its predecessor firms as an intern in 1993, then full-time in 1996, joining his father, Randy, to form The Gunnip Group. The Gunnips are fortunate to be in the industry with family members encompassing two generations, both of whom hold the designation of Certified Investment Management Analyst®, (CIMA®). Matt earned his CIMA® from the Investment Management Consultants Association at the University of Pennsylvania’s Wharton School of Business, the designations of Senior Vice President, Wealth Advisor and Senior Portfolio Manager, was honored with Morgan Stanley’s National Sales Director Award in 1998. Matt enjoys working with clients and developing comprehensive financial plans to help achieve their long term goals and objectives. His areas of concentration include separately managed accounts (SMAs) and exchange-traded funds (ETFs). Matt graduated with a degree in Accounting from Texas Wesleyan University. A life-long resident of the Fort Worth area, he is married, and has three children who keep him busy when he is not in the office. In addition to enjoying spending his free time with his family, Matt donates his time and energy to the Boys and Girls Clubs of Fort Worth’s Panther Club, a subsidiary for young professionals in support of the Boys and Girls Clubs of Fort Worth. He was recognized with Rookie of the Year honors in his first year of service to the club. 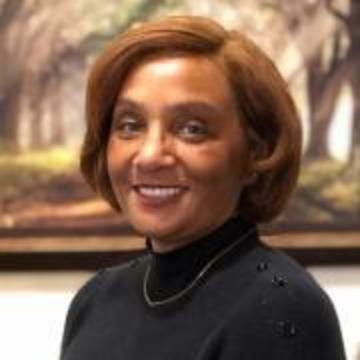 Jennetta began her career in the financial service industry in 1986, has over 30 years of experience across wealth advisory operations, including operations management and advisory support. She takes pride in delivering exemplary client service, including the advancement of client queries, requests and documentation. 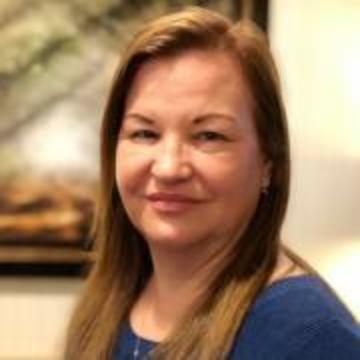 She performs duties that support the team, including but not limited to, identifying Firm services and solutions, such as digital, online access and cash management offerings, that support clients’ needs. Jennetta is a Portfolio Associate and holds both Series 7 and 66 securities licenses. As native Californians, Jennetta, her husband Darryl Sir, enjoy traveling together. The Claiborne’s relocated to Texas twice, in 1989 and 1998. They treasure their annual trip with their son Darryl II and grandchildren, Kylah, Darryl III, Devon and Dylan. Jennetta enjoys reading presidential biographies and spending time with friends. She is a USTA 4.0 tennis player, active in both Metro and USTA leagues in Dallas Fort Worth, and volunteers with Dallas CASA as a children’s rights advocate. Rayeann came to Morgan Stanley and its predecessor firms initially not seeking a career in Finance; however she was intrigued by the job description. That initial intrigue has led to a career extending back to 1989. Having this depth of experience and knowledge to oversee daily operations, including supervision of her fellow Client Service Associate has proven to be an asset for the Gunnip Group, in addition to helping expedite and assure quality client service. Rayeann’s responsibilities include the opening and processing of Separately Managed Accounts; Select UMA, Consulting and Evaluations, Morgan Stanley Advisory and the support of Portfolio Management. In addition, she serves as liaison between clients and the Financial Advisors on the team. As a Wealth Management Associate, Rayeann is Series 7, 63, 65, and 31 licensed. A native of Honolulu, Hawaii, she attended the University of Hawaii at Manoa. Rayeann, her husband Dell, and their children, Alyssa, Caitlin, and Dylan, relocated to Fort Worth in 2005 from Hawaii. The Ison family also includes their two West Highland Terrier dogs Kekoa and Kailani as well as a Yorkie named Kalena. Rayeann enjoys scrap booking, and spending time with her family. She also volunteers as needed for the organizations and teams in which her children are involved.